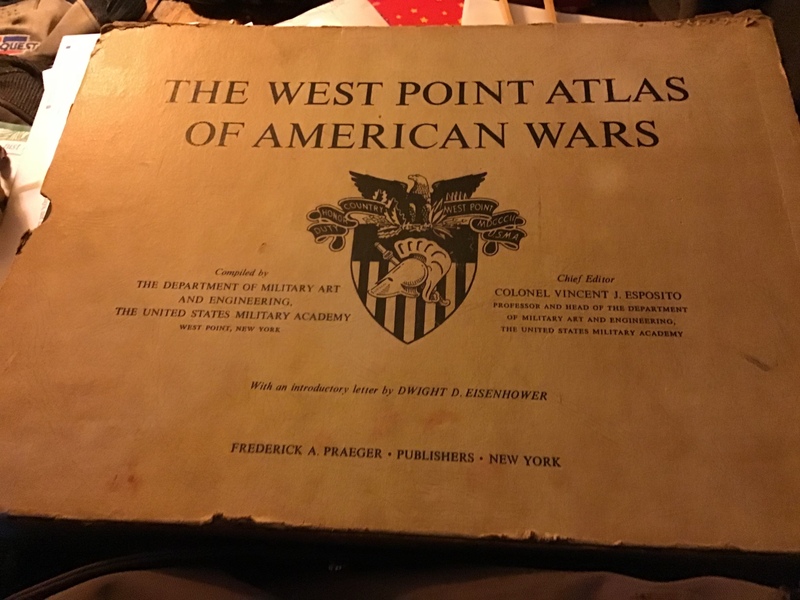 Come See What the Past can Bring to the Present! 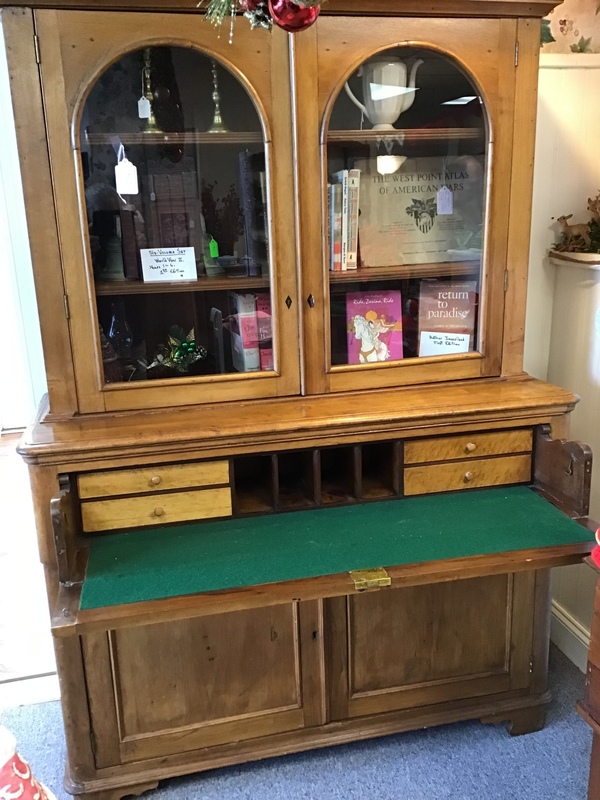 This amazing piece has it all...storage space, bookcase and writing desk. Comes with two working keys, one for the desk drawer and the other for top and bottom sections. 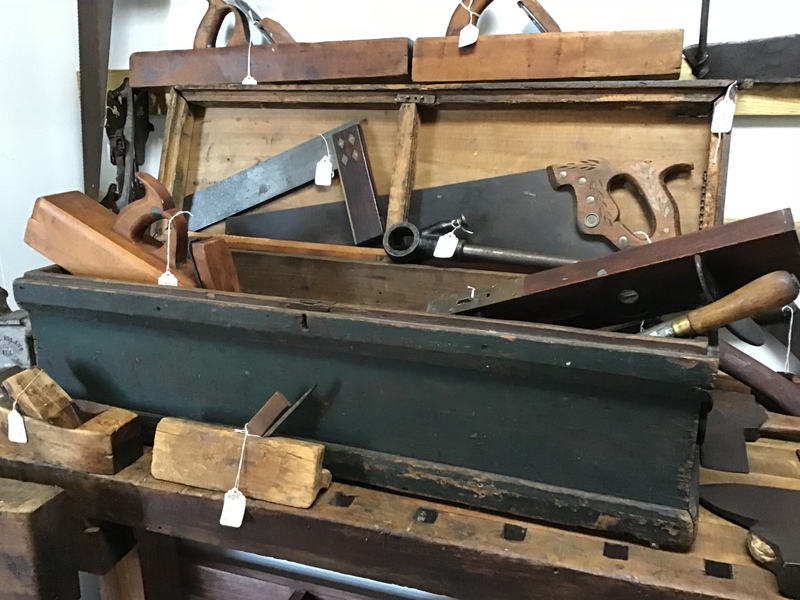 Looking for antique tools and tool boxes? We have both. You will enjoy learning how your grandparents (and before!) performed carpentry or farm work. Furniture and side pieces are everywhere in the shop. This lovely side chair is flanked by a matched pair of end tables. Primitive home decor and decorative pieces make our shop special. We also have glassware, especially depression glass, brewerania and ironstone. A whole wall of the shop is devoted to rare, vintage and first edition books of all genres. 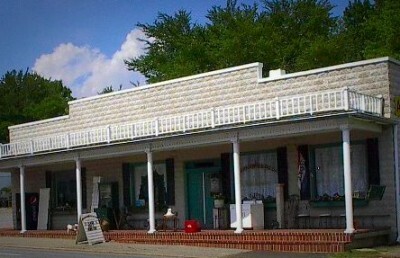 Less than an hour south of Washington DC and convenient to all of Southern Maryland, it's just a short drive to an impressive selection of antiques and vintage treasures with good old-fashioned country hospitality and refreshing prices! 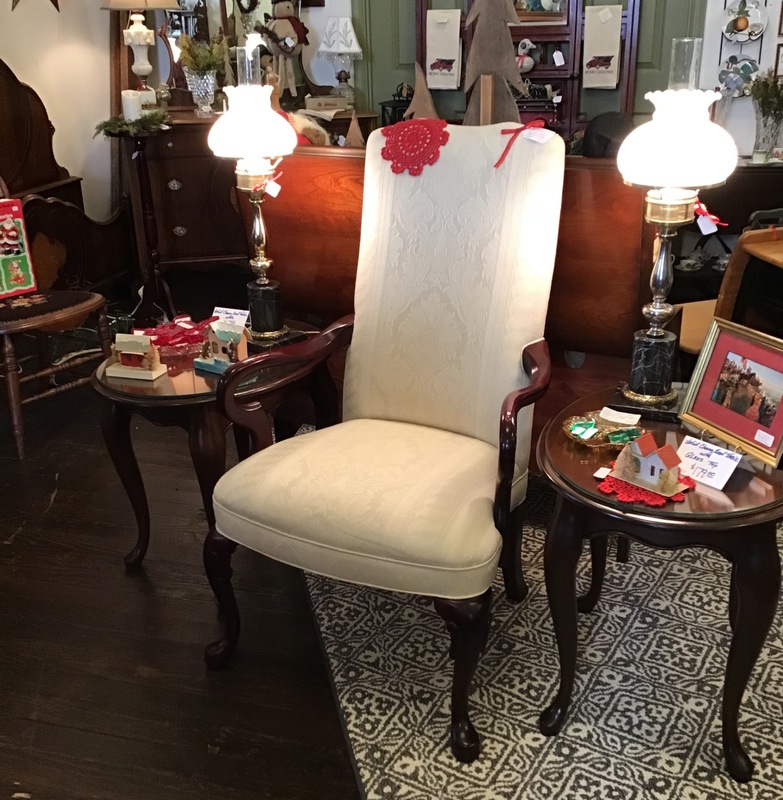 ​Stop by and shop one of Southern Maryland's oldest antique stores where specialized vendors have come together to bring you gorgeous pieces of history in a building that is itself a true antique. We accept credit cards and offer layaway on large items. Sat/Sun 10 am - 5 pm .